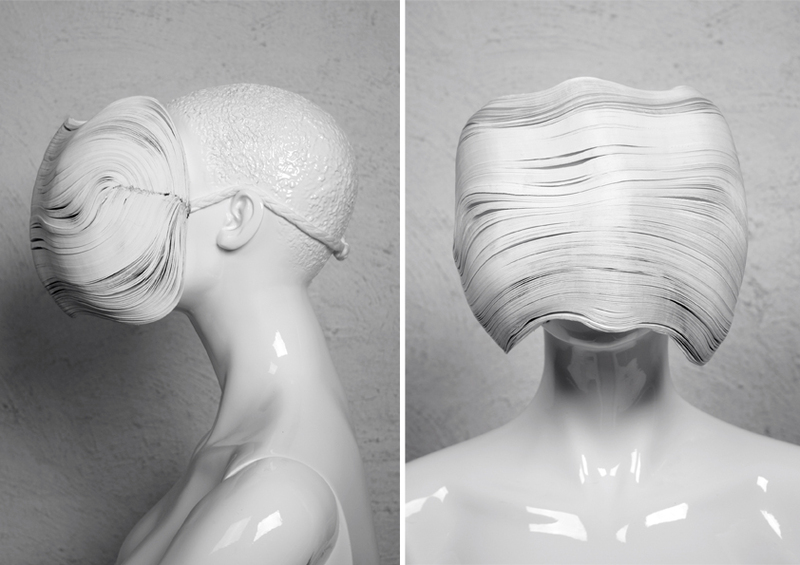 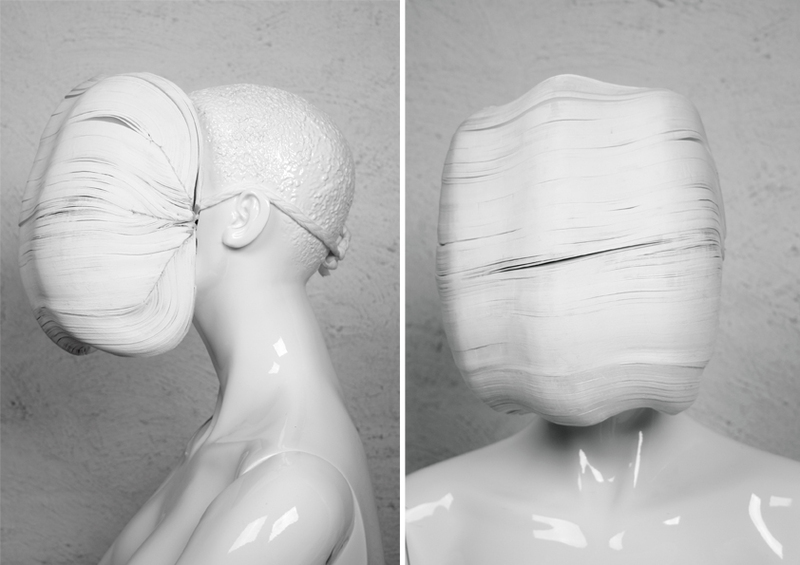 Masks inspired by fashion house Maison Martin Margiela. 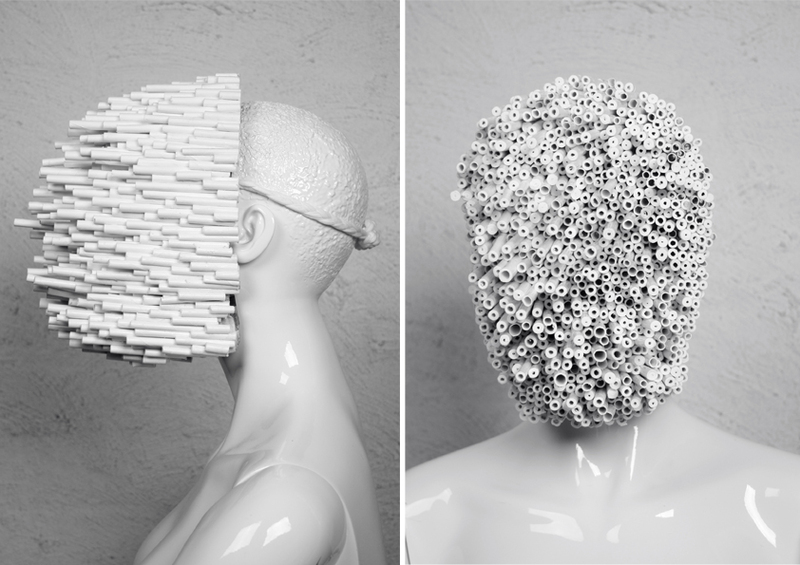 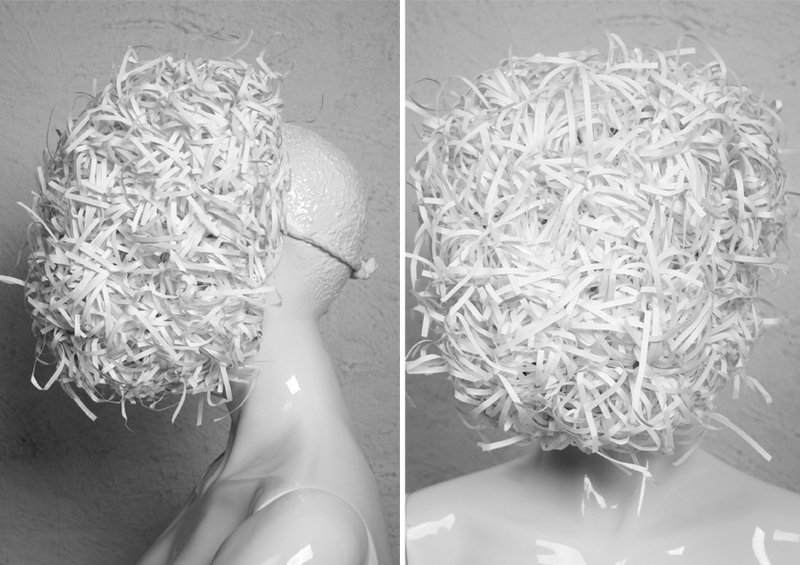 Inspired by anonymity, white, repetition of shapes and mugshots he makes of his models. 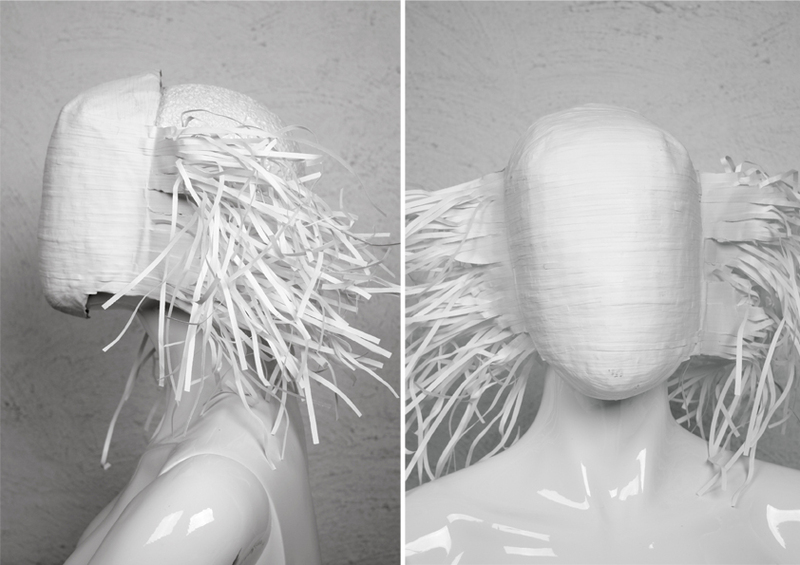 four completely different looks by just using A4 paper.